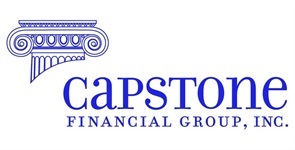 Capstone Financial Group, Inc provides comprehensive qualified retirement plan services to smaller employers. We design, install and administer retirement plans and provide investment advisory service to plan participants. Our goal is to assure that all owners and employees achieve retirement readiness. In addition to our full service, full responsibility approach, we offer a la carte services as well. This allows a client to retain us for any particular part of the plan design, documentation or ongoing administration services.